Electronic Arts has announced when it will host its EA Play 2018 event, and you can expect to get a look at Anthem and the next Battlefield game. EA will host its offsite E3 2018 event at the Hollywood Palladium June 9-11. Those who attend the event will be able to get hands-on time with the next Battlefield game, all upcoming EA Sports games, and get an “inside look” at Anthem. The company promises the three-day event will include “more EA brands, more hands-on stations and more entertainment than ever before.” There will be “hundreds of game stations,” demos, lots of experiences for attendees. Those who can’t make it to the event will be able to watch everything unfold on the official EA Website and YouTube, starting at 11am PDT, 2pm EDT, 7pm BST on Saturday, June 9. Electronic Arts announced in January Bioware’s Anthem will release in Q1 2019 to make room for the new Battlefield game during fall 2018. 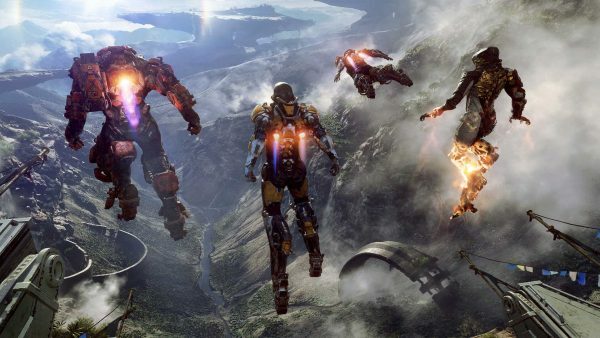 The company denied during its financial call the 2019 release was a delay, despite Anthem being announced for fall 2018 at E3 2017. EA plans on releasing a new Battlefield game in October, and felt moving Athem into the first part of 2019 would provide the new IP an open release window, instead of putting it in the middle of the busy fall release season. As far as the new Battlefield game is concerned, rumors of the next Battlefield being Bad Company 3 have been swirling around online for a while now.